Boeing workers have overwhelmingly rejected a contract and set the stage for the aircraft maker to move production of a key jet out of its longtime manufacturing hub in the Seattle area. The International Association of Machinists reported early Thursday that 67% of members voted against the deal, which would have ended the traditional pension plans for the 33,000 union members at Boeing and moved them to a 401(k) type of retirement plan. The contract also would have included a $10,000 signing bonus and pay raises through the life of the contract, which would have run through 2024. Additionally, Boeing said it would commit to build the 777X in union-represented plants in the Seattle area if the contract had been ratified. 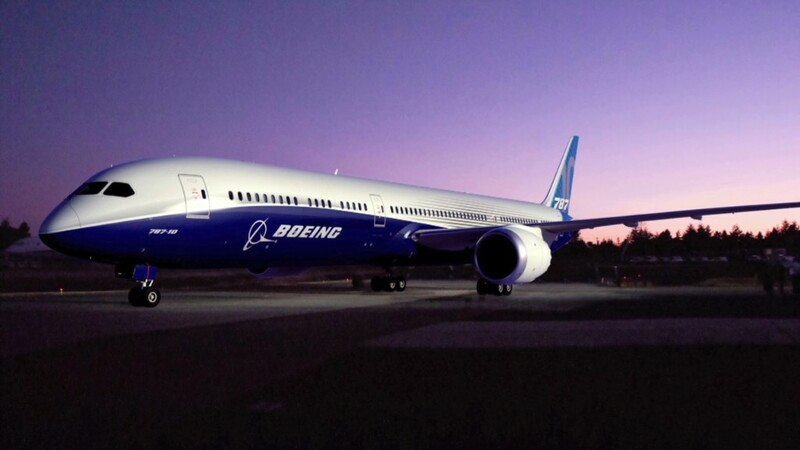 "Without the terms of this contract extension, we're left with no choice but to open the process competitively and pursue all options for the 777X," said Ray Connor, CEO of Boeing's commercial aircraft division. The union said the loss of the pension plan was too big a concession for members to make. "We preserved something sacred by rejecting the Boeing proposal. We've held on to our pensions and that's big," said Tom Wroblewski, head of District 751 of the union, the unit that represents the Boeing workers. The 777X is an important product for Boeing -- more fuel efficient than its current 777 plane, which is a Boeing mainstay. One expert forecasts that Boeing will announce $50 billion in sales of the new jet at the Dubai air show next week. Washington state is offering Boeing $9 billion in tax breaks to keep the work in Seattle. The governor's office estimates that there are 20,000 jobs at stake at Boeing and its suppliers if the plane is moved out of state. But Boeing said it needs the cost certainty of the rejected contract and the long-term protection against future strikes before it can commit to build the aircraft in the Seattle area. The current contract only runs through 2016.